Sick of restrictive ski jackets that can’t keep up with you on the slopes? 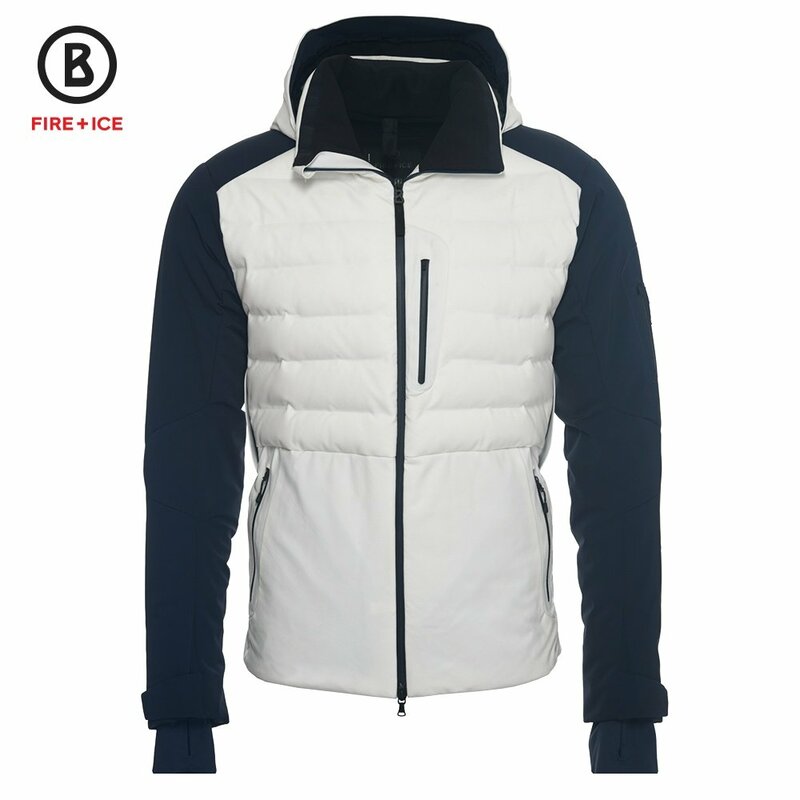 Stress no more, because the Fire + Ice Erik-D Down Ski Jacket is loaded with high-performance features and modern style elements. This jacket is made of a four-way stretch fabric, allowing it to have a flattering and fitted cut while maintaining a full range of motion. It’s perfectly suited for the rainiest and snowiest days, thanks to a 20K waterproofing rating and a 650 fill-power goose down blend to keep cold air away from your body. The Erik-D Jacket features a powder skirt, waterproof zippers, and underarm vents, ideal for all-day alpine exploration. You’ll stay warm with 650 fill-power goose down insulation. A 20K waterproofing rating keeps you dry in very heavy, extended snow. Store all your on-mountain gear with dual outer pockets, a sleeve pocket, a chest pocket, and two inner pockets.